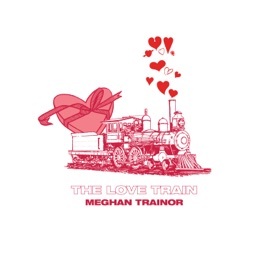 Arriving just a few weeks after she married actor Daryl Sabara, Meghan Trainor’s THE LOVE TRAIN EP is one giant heart-eyes emoji. The girl sounds smitten. Bright, colorful pop songs are sprinkled with twangy vocals, rallying hand-claps, and big, driving percussion, creating a blissed-out vision of love that’s rom-com-montage sweet. In this fairy tale, Trainor has no time for games: “What kind of love you gon’ put on me? 'Cause your last name sounds good on me,” she sasses on “FOOLISH,” a song about “locking it down.” On “MARRY ME,” a song she reportedly wrote for her husband shortly after they started dating, she shakes off convention and pops the question herself. Awww. This EP is absolutely beautiful. 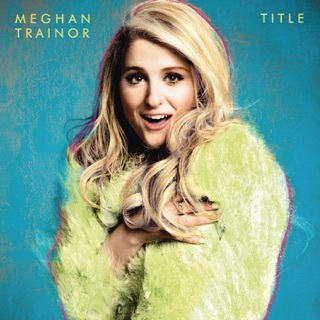 I can totally see why Meghan made this before she is soon to put out her third album Treat Myself. For those who didn’t know, Meghan delayed the album being that she wrote more songs within the process. She took some songs that were previously on the album tracklist and moved them; in which the outcome became The Love Train: a 6-track stand-alone body of work full of love songs. Obviously of course dedicated to her hubby Daryl Sabara. 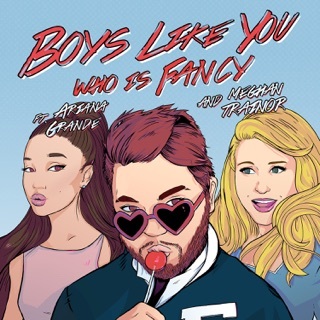 “All the Ways” is a fun, disco tasted, catchy pop bop. So glad this was chosen as the first official single, anticipating for the video soon. Side note: obsessed with the shimmery background vocals here especially at the end. 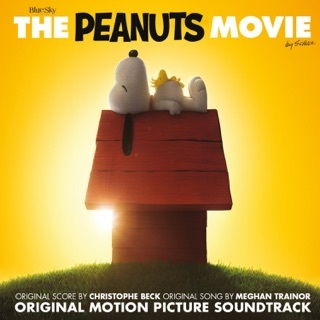 “Marry Me,” a song I do believe Meghan had this song played as she walked down the album with her dear future husband. (had to be done lol) It’s so romantic and it feels like it’s taking her back to her roots from her debut album Title. “I’m Down,” my personal favorite, is so strong and electrifying! I really love the saxophone throughout the song towards the end too! “After You” is so gorgeous. Definitely the type of song to dedicate for the love of your life. “Foolish” is so fun, cute and cheeky. That song has MAJOR single material! Super catchy and I love the chorus. “Good Mornin’” is adorable. I love the piano, thanks for the help of Meghan’s father Mr. Gary. For some reason to me, this song is in the same vein of a song of hers called “Good to Be Alive.” But I love it so much! It’s such a fun love song and great closer! All in all, I think this is such a lovely project. However I do wonder, if these songs won’t be apart of what’s to come on her upcoming album, what will the new material sound like and what will we expect?? I guess we’ll see whenever it’s good and ready which will hopefully be very very soon! Meghan is such a great artist, I’ve admired her and been a fan from the very beginning and I know for sure she’s definitely gonna show everyone what she’s made of. She’s been working so hard to make this project perfect and not only to make sure she loves it but for everyone to love it as well. Please give this EP a listen! I promise you, you will not be disappointed! Treat Yourself will never come out. The preview tracks were converted to "singles" and this is the rest. No wonder the record company rejected it. There are absolutely no singles that struck a nerve with the public. Nothing on this EP will either. Her music went from catchy to "bleaugh"